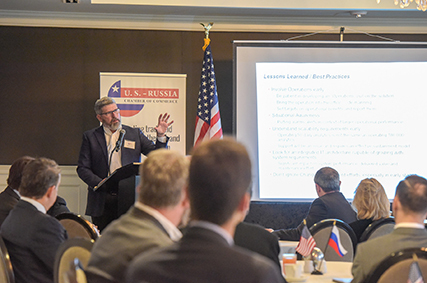 As a co-chair of Houston-Tyumen Sister Cities Committee, I am honored to take this role and address some of the major US-Russia Chamber of Commerce goals such as continuing the development of relationships in the areas of Education, Entrepreneurship, Municipal. I see it as related to Private partnership and infrastructural projects, regional tourism, oil and gas and last by not least healthcare. As a co-chair, I am aware that this is a big ambition and that the space we want to develop is significant, hence it requires a lot of determination, knowledge and resources. I am looking forward to build a strong team capable of delivering our mission and goals through our values. 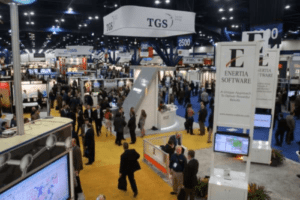 I see a Houston-Tyumen Sister’s City Committee as a body that develops and facilitates the opportunities and connections, as well as nurtures existing commercial and non-commercial relationships between Tyumen Region and Houston. Committee aims to promote and attract different businesses and entrepreneurs from both cities to develop win-win collaborative opportunities and helps to realize them. 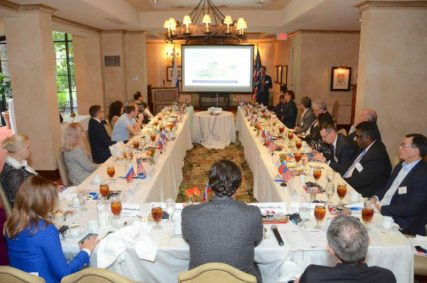 I envision this committee to become a reliable and trustworthy facilitator in creating and opening doors to businesses, municipal and non-profits in Houston and Tyumen. 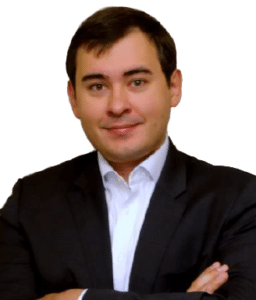 Max Nikolaev was born and raised in Nadym, Tyumen region USRR – now Yamalo-Nenetskiy Autonomous Region in 1983. Max graduated from Gubkin University of Oil and Gas in 2005 with a Master’s of Science degree in Petroleum Engineering and has completed graduate coursework in the field of Pressure Pumping Services – Fracturing. Max’s previous experience includes operations management, technical and sales, chemicals regulatory compliance and global supply chain. 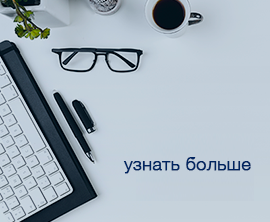 During the course of his career, Max lived in Tyumen for a few years and has a good grasp of business opportunities and region’s dynamics. Currently Max is a product champion (marketing manager) for stimulation products Schlumberger develops and introduces globally.